Kids are great, but sometimes they can affect your schedule or mood in unexpected ways. 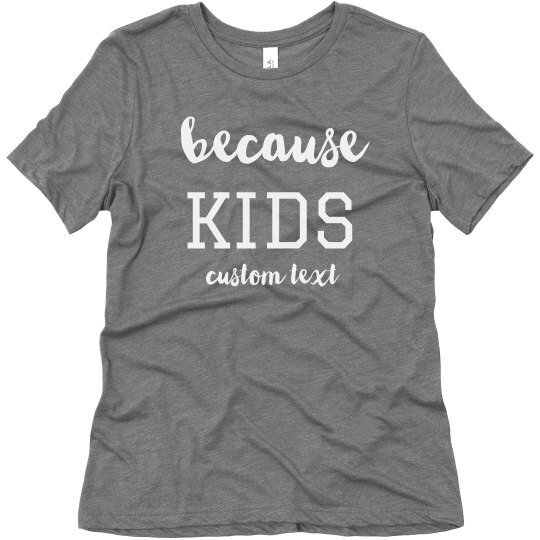 Customize your own mama tee with this funny "Because Kids" design. Add your own text at the bottom to give it a bit of your sassy flair.